This warm, wonderful, humorous series is about a fun loving all-American teenager who likes surfing and the beach. Her name is "Gidget", Frances Elizabeth Lawrence, (Sally Field), a student at Westside High School. She lives with her wonderful father, an English professor at UCLA, Russell Lawrence (Don Porter). Gidget has an older sister, Anne, who is prim and proper. Ever since their mother died, Anne has had a strong maternal instinct. Anne's husband, John Cooper, is studying to be a psychologist, likes to psychoanalyze people, and can be a pain. Larue (Lynette Winter) is a really good friend of Gidget's. Gidget has a boyfriend, Jeff, who is going back east for college at Princeton. Gidget is a treasure. She's innocent and she loves life. Sometimes, she'll look directly into the camera and tell us how she's feeling. Life is good. Don Porter and Sally Field as father and daughter are really great together. The show is well written and it tells good stories. The sets look nice and are well lit. Why did Gidget last only one season? In 1965, Gidget was competing against the #8 program, "The Beverly Hillbillies", that was airing on CBS and the last third of the #25 program, "The Virginian" (90 minutes), that was airing on NBC. Those two shows had been on the air since 1962. Gidget was a new show for 1965, so it had some tough competition. 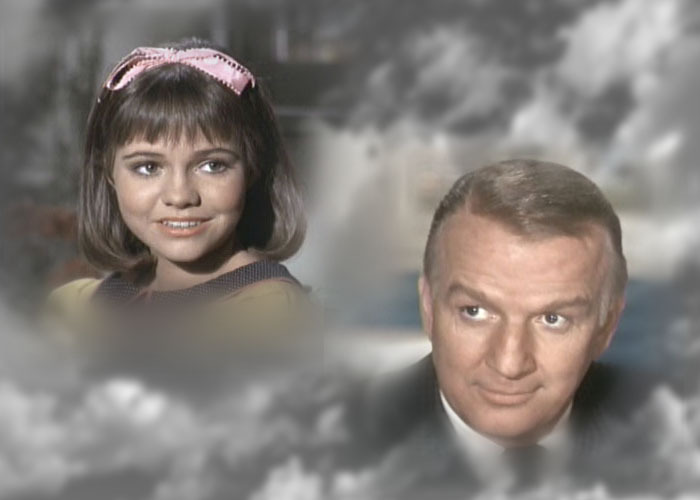 According to a Sally Field interview on the fourth DVD, Gidget's ratings did increase to put the show in the top ten. But it was too late. The decision to take Gidget off the air had already been made. "Now There's A Face" is one of the best episodes. Gidget falls in love with an older guy, who's a photographer. In "Ego a Go-Go", Gidget tries to the help the self-confidence of Norman Durfner, otherwise known as Durf the Drag (Richard Dreyfuss), by inviting him to the Spinster Hop. The complete series of 32 episodes is available on DVD at www.amazon.com . It took some getting used to but it was well worth it. Most of the programs are a joy to watch and the video quality is really good. This Gidget page was created November 21, 2006.